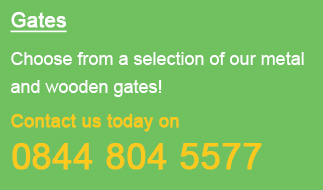 Delivery of our gates, railings and metal fence panels is available to any mainland UK address. The standard delivery* charge is £20.00 inc VAT per order and will be automatically added when you proceed to the checckout. Standard Delivery* - This covers delivery to any postcode within the mainland UK (with the exception of the Scottish Highlands). If you live in this region there may be a surcharge applicable. Please contact us prior to ordering if you think this might apply. If you are located on the Isle of White, Isle of Man or Northern Ireland please contact us before ordering to obtain shipping costs. Whilst the majority of orders are delivered within 5-14 working days, please allow up to 28 working days* for your order to be processed, manufactured and delivered. This is because every size configuration is not always available at the time of ordering. If you need an item in a hurry please check with us first prior to ordering and we will be happy to check current stock levels. 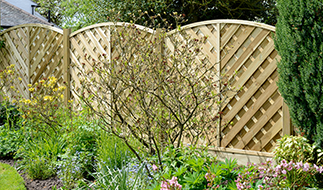 Bespoke designs and made to measure items may be subject to longer lead times and should be checked prior to ordering. *Working days are classed as Monday - Friday and exclude Bank Holidays. All goods are dispatched direct from the manufacturer therefore we are unable to provide a specific date for delivery. If you wish to add delivery instructions (such as where to leave the goods) for the courier please do so in the checkout section of the website at the time of placing your order. Deliveries take place Monday – Friday only. If no instructions are provided for the courier and you are not in at the time of delivery they will post a card through your door with contact details and instructions on how to rearrange delivery of the goods.